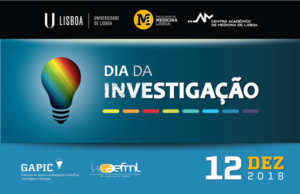 On the last 12th of December 2018 Research Day place in the Faculty of Medicine of the University of Lisbon (FMUL), organized by the Support Office to Innovation and Scientific and Technological Research(GAPIC, partnered with the Student Association of the Lisbon Faculty of Medicine (AEFML). This year the program was focused on the promotion of the GAPIC Alumni launched on the 29th anniversary of GAPIC, on July 11th 2018. 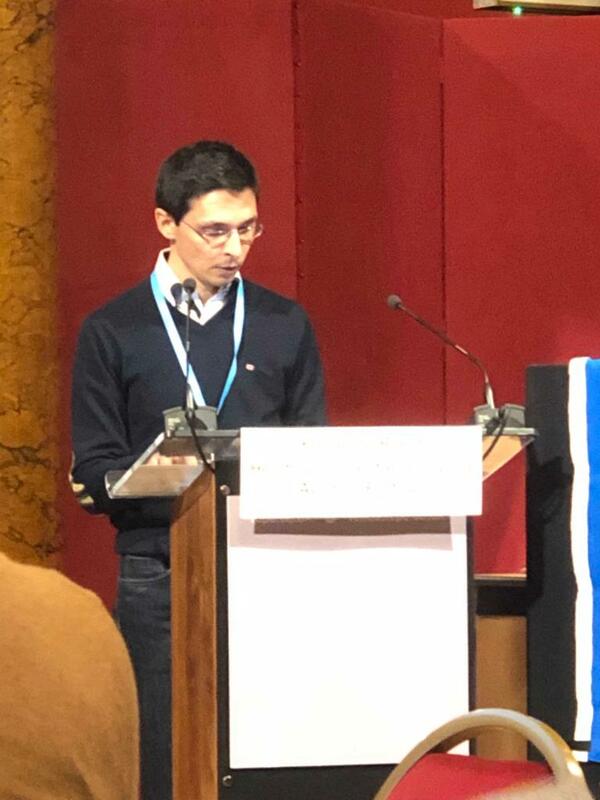 In the opening session, Ricardo Fernandes, of the team of GAPIC, presented the Project PREPIT (Pregraduate Research Program – Impact and Trajectories) which aims to assess the scientific, academic and professional outcomes of the participants in the pre-graduate programs of GAPIC, which has been taking place without interruption for the last 23 years, a pioneering initiative at national level on the incentive to research during the undergraduate Medicine program. In the session Research Paths – GAPIC Alumni, former students GAPIC, Inês Vaz Luís, Tiago R. Matos and Bruno Miranda, talked to the interested audience about their academic and professional paths and advantages of having participated in projects GAPIC. As always, the highlight was the presentation and discussion of the results of the 31 works made by 43 students in the scope of the 21st “Education by Science” | Scholarship Program CHLN/FMUL, to the moderators, tutors and all interested parties. The moderators have selected the 10 best works presented in the poster session for the oral presentation, with the 3 best works being awarded in the end. Final Projects / MIM Thesis were also presented and awarded with the GAPIC David-Ferreira 2017/2018 prize and special mentions. Find out who were all of these award-winners in the January edition of newsletter. 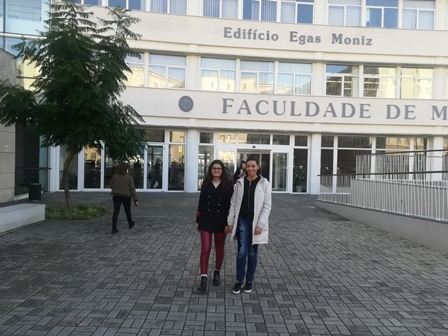 Diana Dias de Sousa presented the results of his project “Pathophysiology of the Stroke”, developed in the scope of the 11th Research Scholarship of the Foundation AstraZeneca/FMUL. 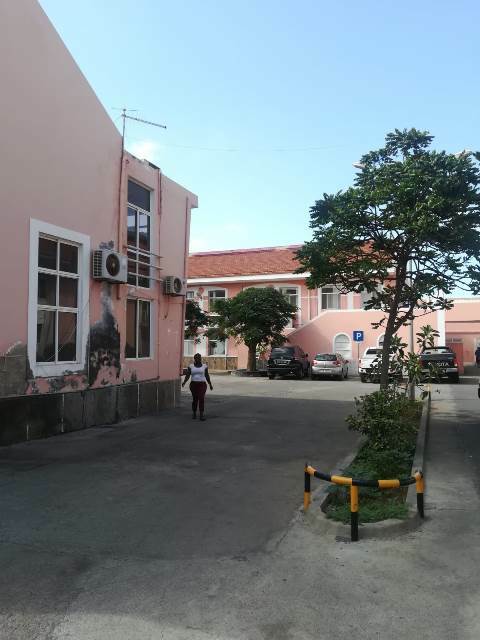 For the session promoted by AEFML were invited, besides students who organized the AIMS Meeting Research Competition, a student GAPIC, Cristiano Esteves, and a tutor, Simão Rocha, who spoke about different experiences they had during the project GAPIC. As it was a celebration day, it ended with the enthusiastic performance by “Tuna Médica de Lisboa”. Stay tuned for the January edition of the newsletter, where we will show a bit more about this party dedicated to science! 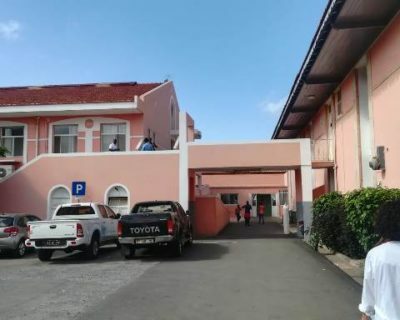 Because Hospital Santa Maria is not only made up of doctors, nurses and auxiliaries. 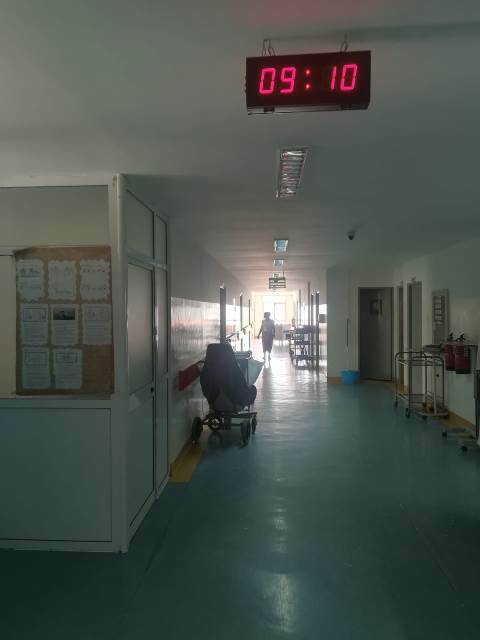 The newspaper Público published an article on the “invisible” professions of this hospital. By the photographer Magda Moutinho. 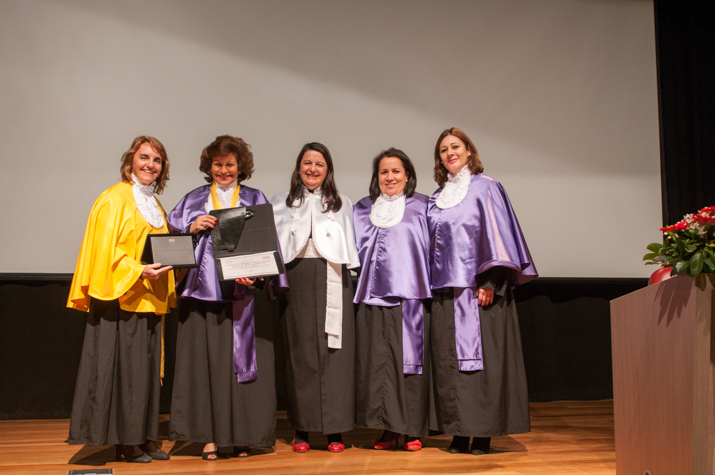 The team led by Luísa Lopes, from the Institute of Molecular Medicine João Lobo Antunes /, Faculty of Medicine, received the Award Mantero Belard, from Santa Casa da Misericórdia de Lisboa. 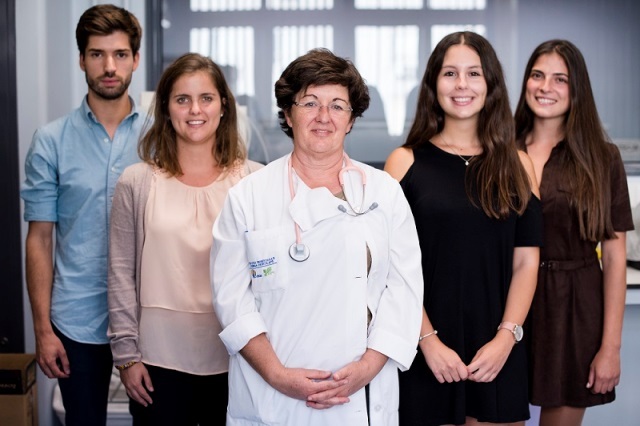 With the amount of 200 thousand euros, this award aims to promote and stimulate scientific or clinical research in the field of neurodegenerative diseases associated with ageing, such as Disease Parkinson and Disease Alzheimer, enabling new strategies in the treatment and restoration of neurological functions. In a statement to News@fmul, the neuroscientist Luísa Lopes presented her team and her work proposal. “”Our team is dedicated to studying the mechanisms underlying the early synaptic lesions associated with ageing. In the project, now awarded by Santa Casa, we propose a new approach to understanding the disease Alzheimer, which involves detecting the earliest signs of transformation of a particular protein, APP the precursor protein of amyloid, whose abnormal processing at a later stage is associated to the disease. We have data, obtained in collaboration with the Professor Paula Pousinha from the University of Côte d’Azur on Nice, that point out that at an early stage, an abnormal functioning of the synapses can be the basis of subsequent neuronal death. We have also identified some target proteins involved in the process. The funding of this project will allow us to take the next step, that is, create a series of molecular tools based on this data and invest in the latest technology to register the synaptic function. We will interfere with these mechanisms in these previous steps, meaning, when the processing of APP is still normal, in an attempt to monitor the disease’s process in animal models and obtain clues that allow us to intervene earlier on in the future. In addition, this funding will also enable the development of new technology for analysing patient samples to validate this data in humans. 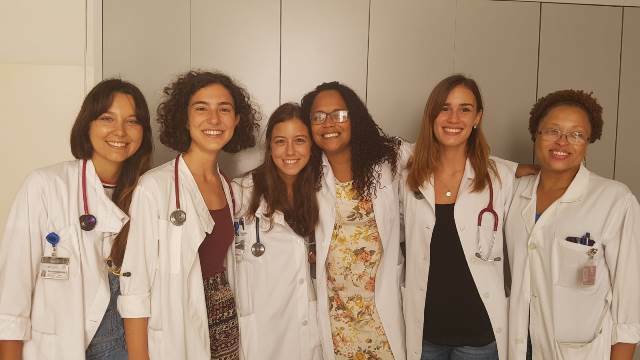 The team iMM Faculty of Medicine also included Professor Sergio Almeida, a PhD student Joana Saraiva, who will do part of the work in Nice, and PhD researchers Mariana Temido-Ferreira and Joana Coelho”. 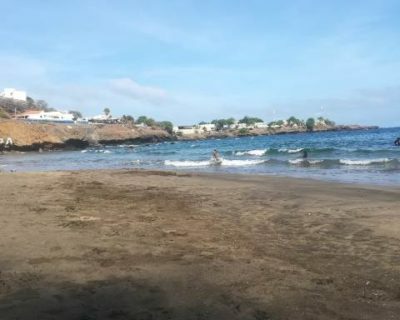 In the selection of these two research project was a jury composed of 8 members, José Ferro Professor at the Faculty of Medicine of the University of Lisbon and the Director of Neurology Santa Maria . “The decision to award the Prizes are the responsibility CV of the main investigator, the quality of his team and the centre(s) from which he comes, there is an item on the collaboration between centres, that is, if there is a network of centres this is valued ; then the project and its originality are evaluated, as well as the feasibility of implementation in the proposed time and budget; finally the plausibility of reaching people. Considering the panel cannot vote on the projects of the Institutions where they are affiliated, José Ferro emphasise the increase of works submitted this year compared to last year. 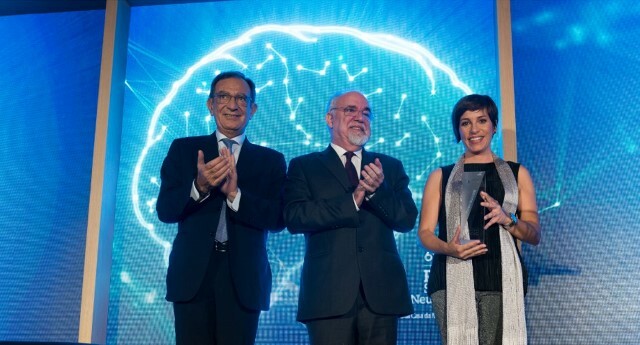 The Santa Casa Neuroscience Awards Ceremony took place last month, at Thalia Theatre , in Lisbon. Present at the event were Minister of Labour, Solidarity and Social Security António Vieira da Silva, Minister of Science, Technology and Higher Education Manuel Heitor, the Representative of the Santa Casa da Misericórdia de Lisboa, Edmundo Martinho members of the Santa Casa Board, as well as the Panel. 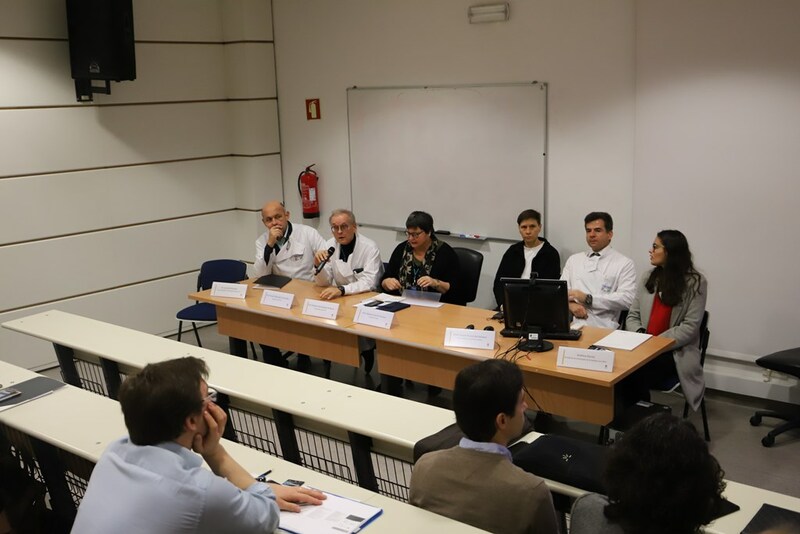 2013 SCML has invested 2,4 millions of euros in scientific and medical research of excellence in Portugal, awarding the largest grants to the Neurosciences. The 2019 Monothematic Meeting of the Portuguese Society of Gastroenterology will be held on January 26 at Centro Cultural de Belém, with the participation of several specialists, namely gastroenterologists, surgeons, and oncologists, among others. This event will focus on digestive cancer. 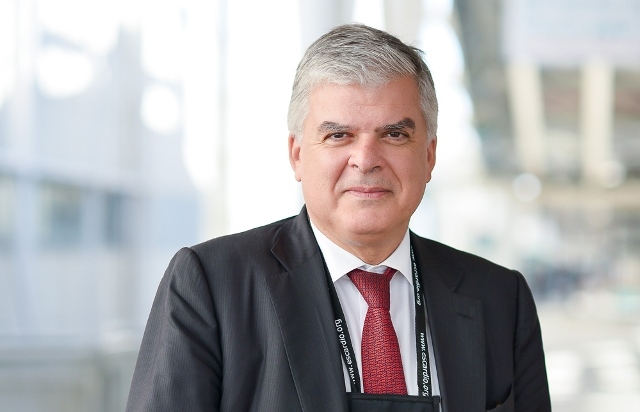 “A third of all cancers is related to the digestive tract,” says Professor Rui Tato Marinho, Professor at the Faculty of Medicine of the University of Lisbon, who will preside over the event. Dr. Marília Cravo, Dr. Filipe Calinas, Dr. Isadora Rosa and Dr. Susana Mão-de-Ferro are also members of the organising committee. 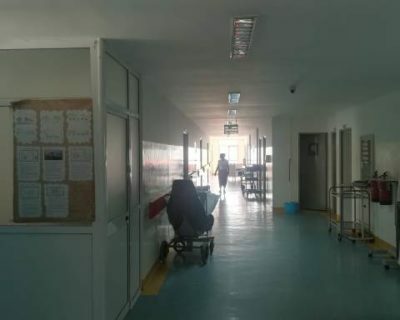 A PhD project is being developed at the Preventive Medicine Institute of the Faculty of Medicine of Lisbon, led by General Practitioner Frederico Rosário Frederico Rosário, and supervised by Professor Cristina Ribeiro of the same Institute, and Professor Niamh Fitzgerald Niamh Fitzgerald of the University of Stirling in Scotland. 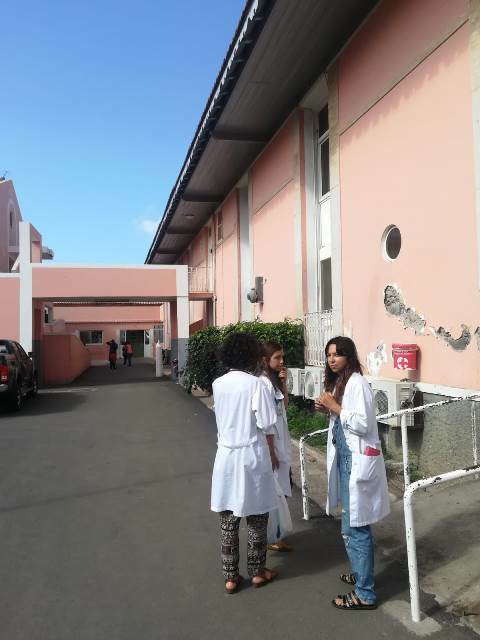 This project aims to implement early detection and brief interventions for alcohol consumption in healthcare centres and has already been the subject of several publications in national and international journals. Alcohol consumption is an important public health problem and is estimated to be responsible for around 3 million deaths worldwide each year (5.3% of the total) and for about 132.6 million years of life lost due to death or illness (5.1% of the total). Alcohol-related problems are often associated with individuals addicted to this substance. However, most of these problems arise in people affected by high-risk consumption (with no alcohol-related diseases) or harmful consumption (with illness), but who are not addicted. Primary Health Care is regarded as the ideal context for the early detection of excessive alcohol consumption. A significant percentage of NHS users who go to appointments consume alcohol at high-risk or harmful levels, unaware of the risks associated with the continued intake of this substance. On the other hand, many of the reasons why patients see their GPs are related to alcohol consumption (e.g., dyspepsia, retrosternal burning due to gastro-oesophageal reflux, hypertension, or difficulty in controlling blood pressure, difficulty in controlling glycaemic levels in patients with diabetes, weight gain, among others). Evidence shows that the early detection of excessive alcohol consumption, followed by a brief intervention for high-risk or harmful consumption in Primary Health Care is a highly efficient clinical activity with an excellent cost-benefit ratio. 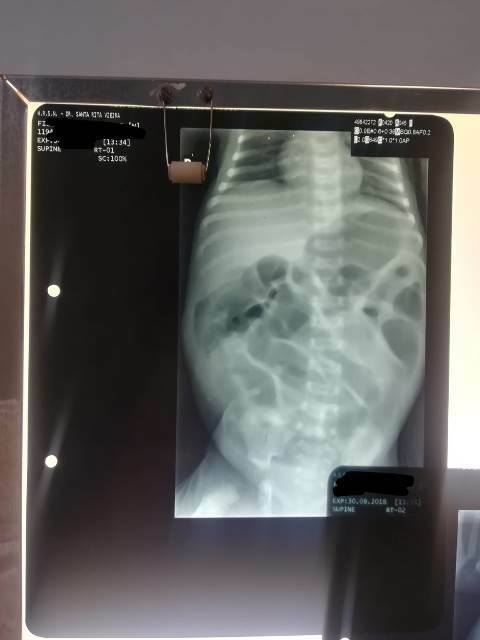 Despite the evidence in favour of brief interventions, the implementation of these good practices in the clinical routine has proved difficult. A number of barriers to their implementation have been identified, with the most commonly referred ones being lack of time, lack of training, lack of support materials for screening and intervention, or the lack of relevance given to the problems related to alcohol consumption. On the other hand, the programmes aimed at implementing these practices which have been tested so far lack the theoretical support that allows choosing measures to effectively change the clinical practice. 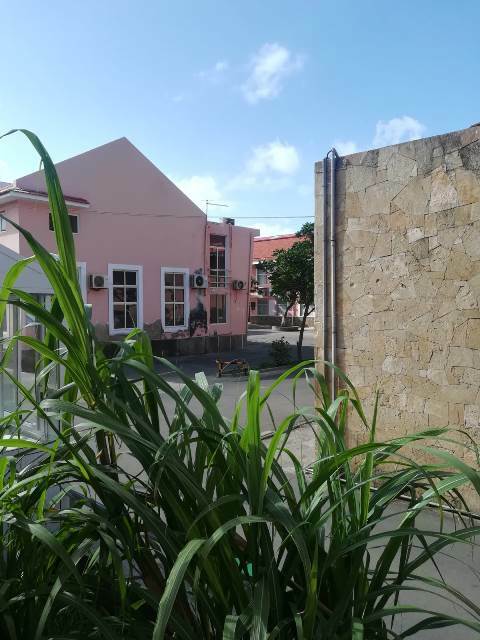 It is with this problem in mind that the PhD project is being developed, aimed at implementing early detection and brief interventions for alcohol consumption in Primary Health Care, having developed an original implementation programme based on theoretical concepts of behaviour change for that purpose. 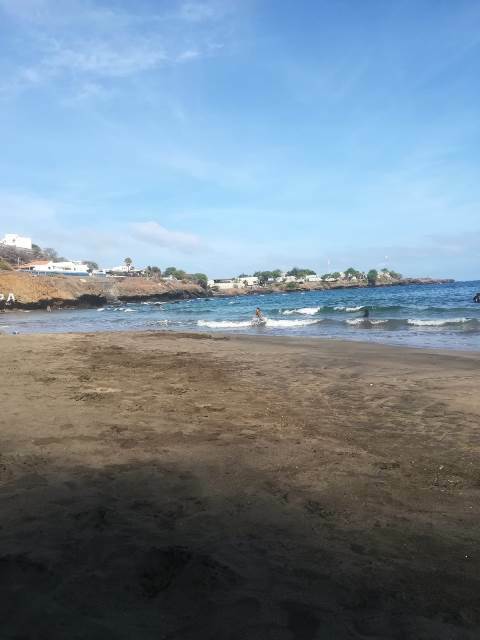 More specifically, the programme was designed following a comprehensive identification of barriers to implementation and their connection to the theoretical content of the Behaviour Change Wheel/Theoretical Domains Framework Behaviour Change Wheel / Theoretical Domains Framework model. 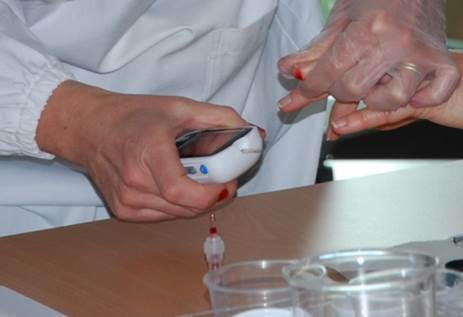 This programme, designed with the collaboration of the University of Stirling Stirling(Scotland) and the Catholic Leuven University of Leuven (Belgium), consists of two pillars: training of caregiving teams (General Practitioners, Family Nurses, and Clinical Secretaries); and continued support to clinical practice. 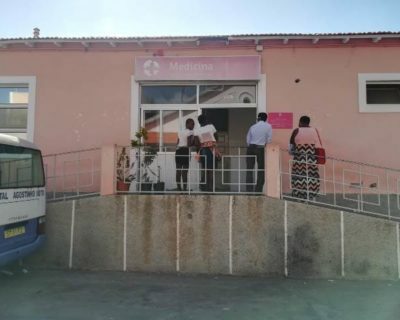 In order to test the effectiveness of this implementation programme, a cluster-randomised controlled trial was designed and tested in 12 functional units (8 Family Health Units and 4 Personalised Health Care Units) of the Dão Lafões Healthcare Centre Group Dão Lafões. The protocol of this study, including the detailed description of the implementation programme based on theoretical foundations, is published in Family Practice Family Practice, , of the Oxford University Press Journals. Oxford University Press Journals group. This journal group considered the article, in which the protocol of the trial is described, as key alcohol research, placing at the top of a list of articles in the Alcohol: Prevention key alcohol research category Alcohol: Prevention. 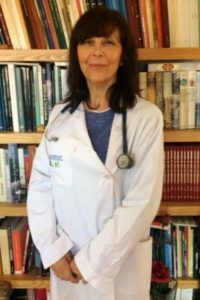 In 2010, following a Degree in Pharmaceutical Sciences and a Master’s Degree in Food Technology/Quality, Olga Amaral joined the Doctoral Programme in Metabolic Diseases and Food Behaviour, Health Science and Technology Branch, specialisation in Nutrition, at the Faculty of Medicine of the University of Lisbon. 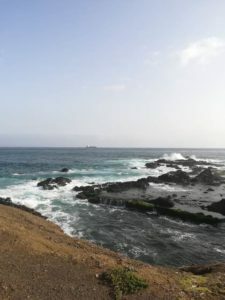 She has been working as an Assistant Professor at the Polytechnic Institute of Beja for more than 25 years in the areas of food, microbiology and nutrition, and chose the transversality of these subjects as the focus of her PhD thesis, which was presented in 2016. Chronic diseases such as obesity, diabetes mellitus, cardiovascular disease, high blood pressure, among others, have become one of the most common causes of morbidity and mortality worldwide. These diseases result, to a large extent, from major lifestyle changes, including diet and inactivity. Functional foods, which have physiological health benefits, in addition to their nutritional value, are currently highly sought after by consumers as a supplement to healthy eating. In this context, the scientific community has shown particular interest in the functional properties of resistant starch (RS), as it has been associated with physiological benefits, especially in pathologies such as intestinal diseases, diabetes, cardiovascular disease, obesity, and osteoporosis. The fact that not all starch is hydrolysed and absorbed by the human body has only relatively recently become known (1980s). This starch works as a dietary fibre and increasing its content in food is one of the ways to make food more interesting from a nutritional standpoint. 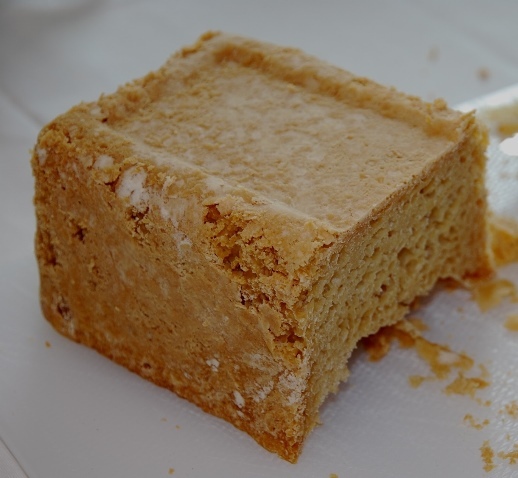 Despite being a basic foodstuff and one of the most important sources of carbohydrates in the Portuguese diet, bread has small amounts of RS. According to some studies, it is possible to promote the formation of RS during the manufacturing process, introducing changes in the formula, baking and storage conditions. Therefore, Olga Amaral the main purpose of the studies she carried out during the various stages of her work was to study the impact of the intake of bread with a high RS content, developed by optimising the manufacturing process, on the glycaemic and insulin response and on satiety in non-diabetics. There were numerous tests focused on changing bread-manufacturing conditions in order to understand what increases its resistant starch content. The result of optimising the manufacturing process was a bread whose resistant starch content is three times higher than in ordinary bread. Then there was a clinical trial with 37 volunteers that proved the physiological benefits of this formulation. 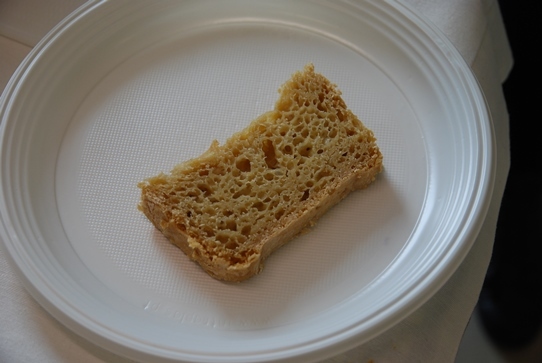 This bread with a high starch content induces a significantly lower glycaemic response than ordinary bread, has a lower Glycaemic Index (60), and induces greater satiety, meaning that smaller portions ad libitum will be consumed. The title of the thesis is “Bread with high resistant starch content: technological development and in vivo study.” In addition to scientific articles in journals, this work resulted in the registration of National Invention Patent No. 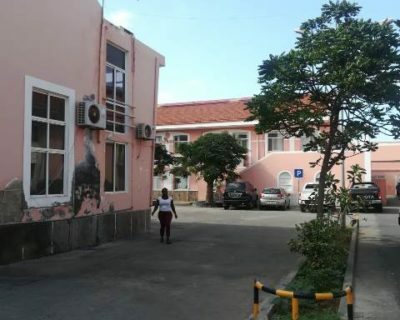 109262 at the National Institute of Industrial Property in 2018, and the Polytechnic Institute of Beja, where the research was developed, is the owner of the Invention. The other inventors of this patent are Professor Catarina de Sousa Guerreiro and Professor Marília Lopes Cravo, both from the Faculty of Medicine of the University of Lisbon. The next step will be to present the product to bakery companies in order to start manufacturing it and offering it to consumers. From the research standpoint, it will be interesting to test the bread for longer periods of time and among populations with specific pathologies, such as diabetes. 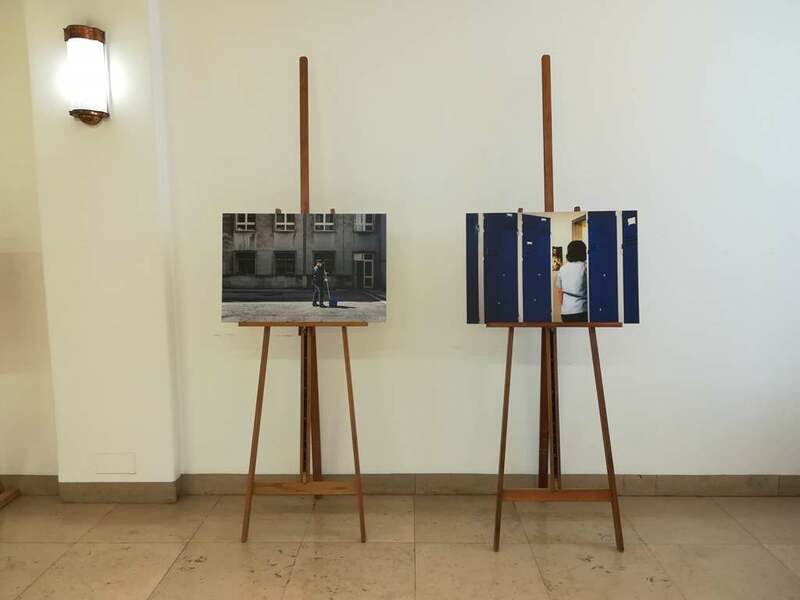 No próximo dia 7 de dezembro, a Faculdade de Medicina da Universidade de Lisboa (FMUL) acolhe a conferência e lançamento do livro “Hepatite C – O Futuro Começou Aqui”. 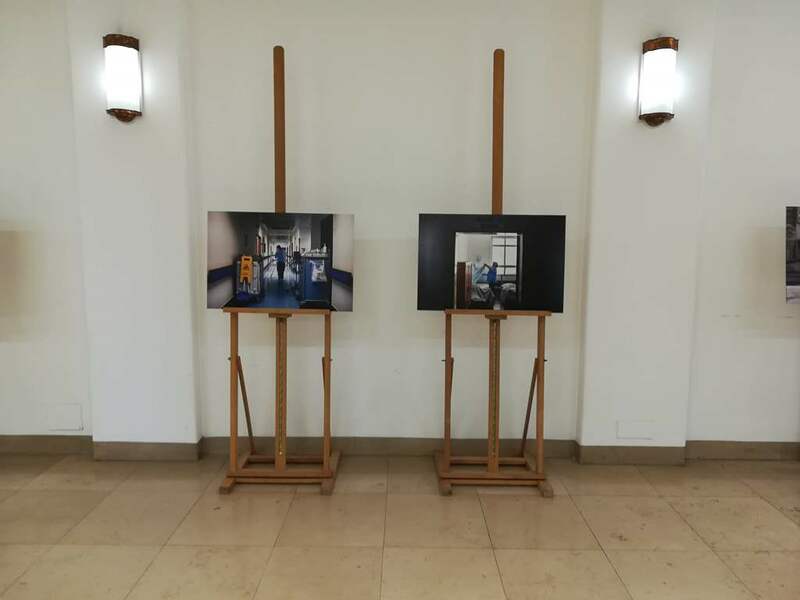 O encontro, promovido pelo Centro Hospitalar Universitário de Lisboa Norte (CHULN), arranca às 09h00, no Grande Auditório João Lobo Antunes, do Edifício Egas Moniz. 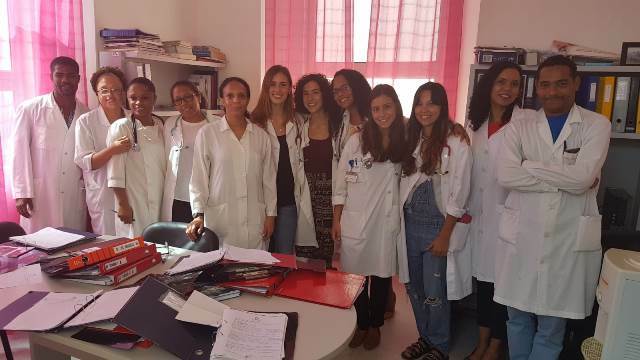 A sessão de abertura conta com a presença da diretora clínica do Centro Hospitalar Universitário de Lisboa Norte (CHULN), Dr.ª Margarida Lucas, o diretor do Serviço de Gastrenterologia e Hepatologia do CHULN e Professor da FMUL, Rui Tato Marinho e o diretor da FMUL, Prof. Doutor Fausto Pinto. 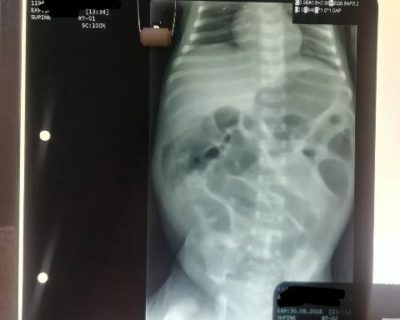 “O Papel do Infarmed na Inovação Clínica”, “Hepatite C Vivida por Dentro e por Fora” e “Eliminar a Hepatite C: Missão Impossível?” são algumas das temáticas integradas no programa do evento. Sabes quais os trabalhos de investigação que os colegas do MIM se encontram a desenvolver? Sabes como começar o teu próprio projecto de investigação? O Dia da Investigação tem respostas às tuas perguntas! No dia 12 de dezembro participa! Esta atividade terá direito a Dispensa das Atividades Letivas para os participantes, que poderás confirmar aqui! 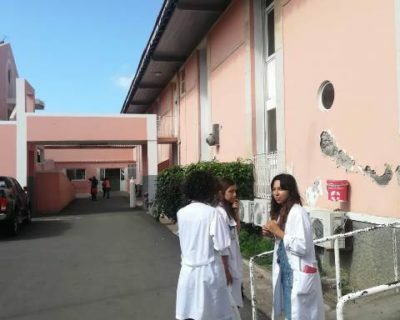 Assiste à apresentação dos melhores Trabalhos Finais/ Teses do Mestrado Integrado em Medicina 2017/2018, candidatos ao Prémio GAPIC David-Ferreira, bem como ao projeto desenvolvido no âmbito da 11.ª Bolsa de Investigação Fundação AstraZeneca/FMUL. 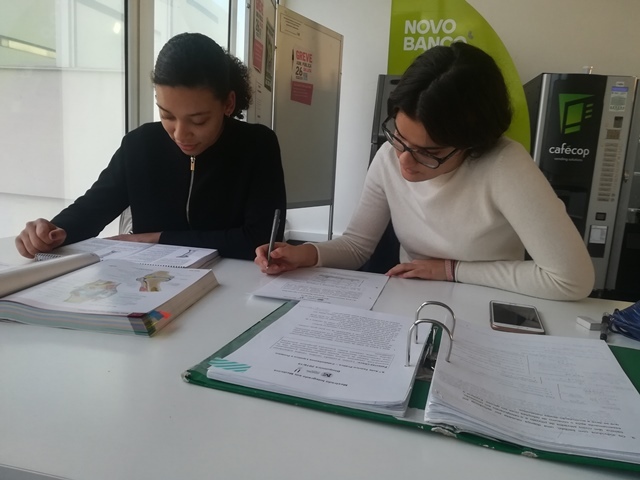 Fica a conhecer os Projectos de Investigação desenvolvidos pelos alunos do MIM, no âmbito do 21.º Programa “Educação pela Ciência”. Tiago Reis Matos (Department of Dermatology, Amsterdam University Medical Centers, University of Amsterdam), . No final do dia, irá existir uma NOVIDADE! Apresentamos-te a GAPIC Alumni Party – um momento de convívio e uma oportunidade única para (re)encontrar antigos e atuais alunos, tutores, docentes e investigadores. São excelentes motivos para te inscreveres até dia 6 de dezembro! 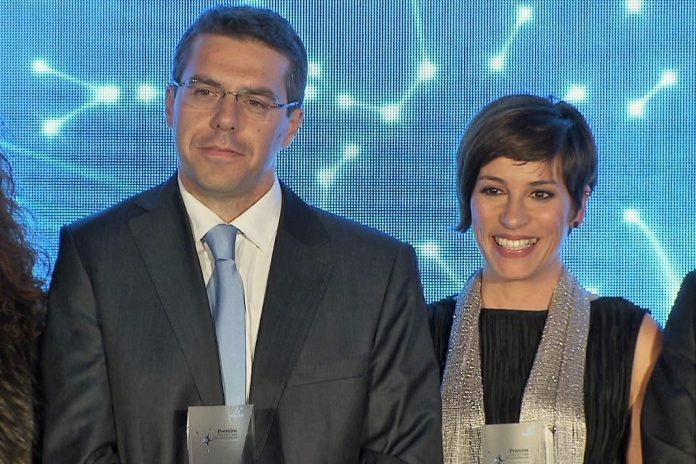 Chama-se Bial Award in Biomedicine e será um prémio que tem em vista a investigação científica na área da Biomedicina, ou seja, em matérias que liguem a Biologia e a Medicina. O objetivo é que se estudem causas e tratamentos para doenças, tendo em conta fatores ambientais. Só poderão concorrer os trabalhos submetidos depois de 1 de janeiro de 2010 e as candidaturas podem ser feitas entre 1 de janeiro e 30 de junho de 2019, o vencedor será anunciado no primeiro trimestre de 2020. 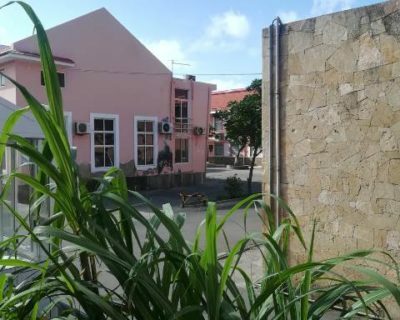 A escolha do trabalho que receberá os 300 mil euros será feita por um jurí científico, composto por vários elementos internacionais e alguns nacionais, do qual faz parte a Professora da FMUL, Maria do Carmo Fonseca e que pertence ao Conselho de Reitores das Universidades Portuguesas. A notícia é dada pela revista Visão que refere o anúncio ao prémio recentemente. Outras informações, consulte o site da Bial. 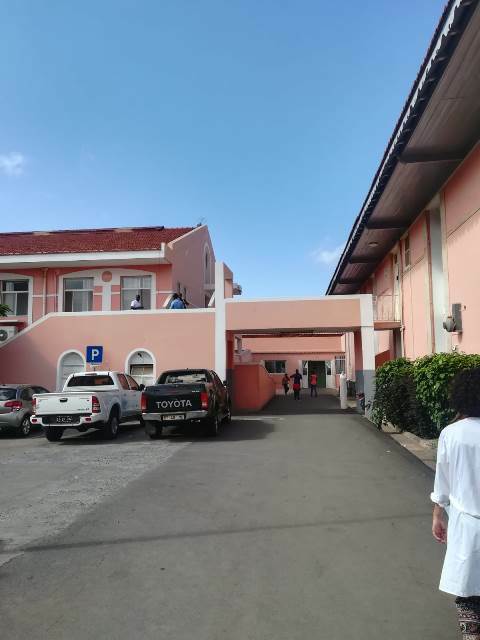 The title could have been written by us, but it wasn’t; the news was reported by the Federal University of Health Sciences of Porto Alegre, which awarded the Honorary Doctorate to Madalena Patrício, a Professor that has recently retired from the FMUL. 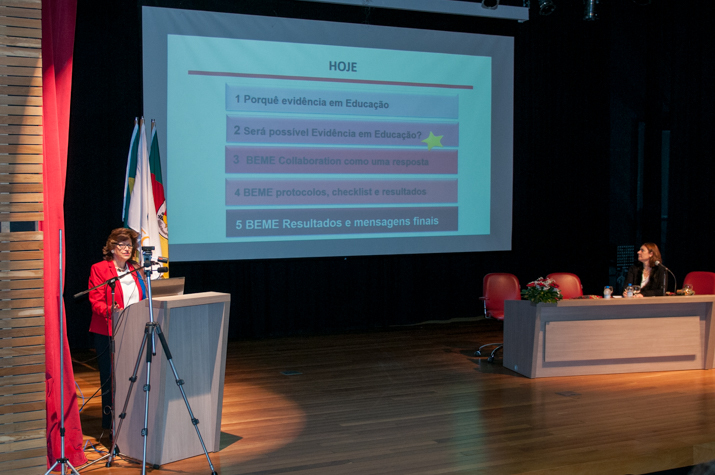 The laureate gave a lecture on “Evidence-based Education” in the opening session held at the University. The ceremony took place this past summer. However, because we only became aware of it recently, we could not fail to announce the news and proudly celebrate the award of such an important Title. 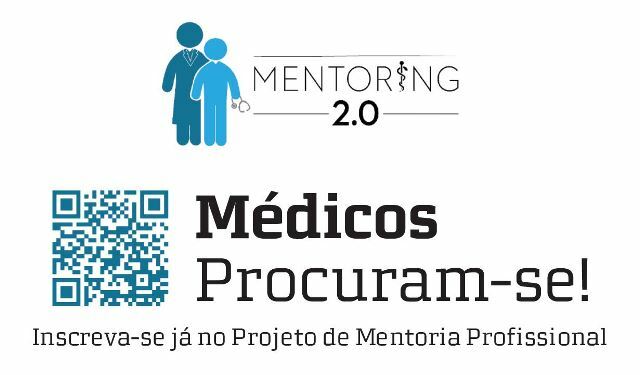 Visit the website of the Federal University of Health Sciences of Porto Alegre and read the full article. We remind you that, next month, this and other topics will be the subject of a conversation with Professor Madalena Patrício who will tell us a little bit about her life. Stay tuned! 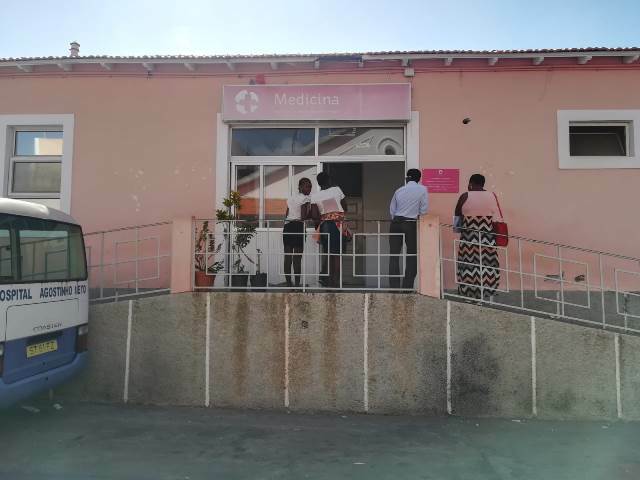 A Fundação AstraZeneca (FAZ) e a Sociedade Portuguesa de Oncologia (SPO) lançaram, no 15º Congresso da SPO, a 2ª edição do “Prémio FAZ Ciência”, que irá distinguir o melhor projeto de investigação translacional em Imuno-Oncologia desenvolvido em Portugal. Esta bolsa terá um valor entre os cinco e os trinta e cinco mil euros, valor a decidir pela Comissão de Avaliação em função das candidaturas apresentadas, e poderá premiar mais do que um projeto. Para Paulo Cortes, presidente da SPO, “esta iniciativa é uma oportunidade excecional para dar visibilidade, interna e externamente, à investigação de ponta que se faz no nosso país. No território nacional existem trabalhos em curso com investigações extraordinárias que num futuro abrirão portas a novas terapêuticas e técnicas de diagnóstico e prevenção da doença oncológica, e cuja excelência deve ser prestigiada e distinguida. O Prémio FAZ Ciência vem dar resposta a esta necessidade”. Jesús Ponce, presidente da Fundação AstraZeneca explica que “apoiar a investigação científica e contribuir para a formação dos profissionais de saúde e para a produção de informação de qualidade são objetivos da Fundação AstraZeneca. Neste sentido e depois do sucesso da primeira edição do “Prémio FAZ Ciência”, decidimos manter a aposta na área da Imuno-Oncologia por se considerar uma área prioritária. 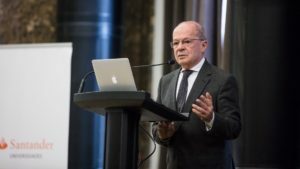 Com este prémio pretendemos continuar a apoiar e a distinguir a investigação científica em Portugal que, como constatado na primeira edição, é de elevada qualidade”. 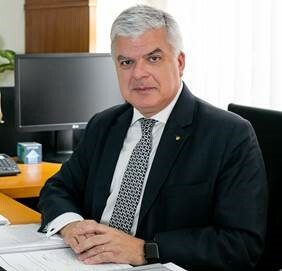 Os projetos candidatos ao Prémio “FAZ Ciência” serão avaliados por uma Comissão de Avaliação composta por cinco reconhecidos especialistas nacionais na área da Imuno-Oncologia: Carmo Fonseca, Presidente do Instituto de Medicina Molecular (IMM) e Professora Catedrática na Faculdade de Medicina da Universidade de Lisboa, Paulo Cortes, Presidente da SPO e Coordenador da Unidade de Oncologia do Hospital dos Lusíadas, José Carlos Machado, Vice-presidente do Instituto de Patologia e Imunologia Molecular da Universidade do Porto (Ipatimup) e Professor Associado da Faculdade de Medicina da Universidade do Porto, José Dinis Vogal (norte) da SPO, Diretor da Unidade de Investigação Clínica do IPO do Porto e Noémia Afonso, secretária da SPO e Oncologista no Hospital de Santo António. As candidaturas deverão ser enviadas por email para premiofazciencia@astrazeneca.com, até ao dia 31 de janeiro de 2019. O regulamento está disponível no site da SPO, www.sponcologia.pt e na página da Fundação AstraZeneca, em www.astrazeneca.pt. O prémio será entregue em abril de 2019. Mais informação em https://www.sponcologia.pt e em www.astrazeneca.pt.